Philadelphia personal injury attorneys Carol Nelson Shepherd and Roberta D. Pichini of Feldman Shepherd Wohlgelernter Tanner Weinstock Dodig LLP have been named 2012 Women of the Year by The Legal Intelligencer. Published in The Legal’s “2012 Women in the Profession” supplement, “2012 Women of the Year” highlights the achievements of top women lawyers across Pennsylvania. One of only two law firms in Pennsylvania with two women awarded this distinction in one year, The Legal highlighted Shepherd’s “continued work, and strong results, in high-stakes litigation cases” among the reasons for her inclusion. The publication indicated that Pichini’s advocacy, legal prowess and achievements as the first woman president of the International Academy of Trial Lawyers (IATL) landed her on the list. The Legal has selected a list of Women of the Year honorees every two years since 2010. Attorneys named to the list are selected based on their professional achievements and input from their peers. 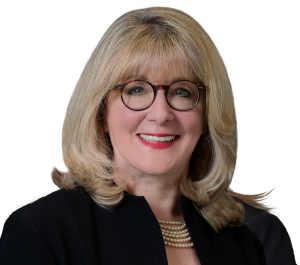 Shepherd devotes her practice to catastrophic injury claims arising from medical negligence, including obstetric / childbirth injury matters, delayed diagnosis of cancer, surgical malpractice and many other cases involving substandard medical care. She is a frequent author and lecturer regarding medical malpractice and has held prominent leadership positions in the regional and national legal communities, including the Pennsylvania and American Associations for Justice, the Philadelphia Trial Lawyers Association and the Pennsylvania Bar Association. A member of The National Trial Lawyers, Top 100 Trial Lawyers, Shepherd is also a fellow of the American College of Trial Lawyers and the Litigation Counsel of America. From 2004 through 2012, she was named among the Top 50 Women Super Lawyers® in Pennsylvania, Top 100 Super Lawyers® in Philadelphia and Pennsylvania, and as a Pennsylvania Medical Malpractice Super Lawyer® by Thomson Reuters, published annually in Philadelphia magazine. 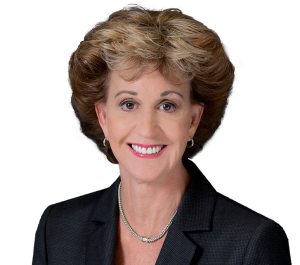 Pichini has litigated countless cases during her more than 30 years of practice. She represents seriously injured infants, children and adults in medical malpractice matters, such as obstetrical negligence, delayed diagnosis of cancer, emergency room errors and patient abuse by therapists. She also represents victims injured by defective products and by catastrophic auto and boating accidents. Pichini is a fellow of the American College of Trial Lawyers and the American Board of Trial Advocates. She was also named among the 2011 Lawdragon 500 Leading Lawyers in America. Pichini has been consistently recognized as a Pennsylvania Super Lawyer® by Thomson Reuters, published annually in Philadelphia magazine. In 2007, 2008, 2009, 2010, 2011 and 2012 Pichini was named a Top 50 Pennsylvania Super Lawyer®, and a Top 100 Philadelphia Super Lawyer®. In 2006, Pichini was honored with the Philadelphia Bar Association’s Sandra Day O’Connor Award, presented annually to a woman attorney who has demonstrated superior legal talent and accomplishments while furthering the advancement of women in both the profession and the community.